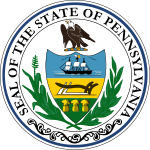 Pennsylvania's state elections were held November 8, 2005. Necessary primary elections were held on May 17, 2005. Justice of the Supreme Court retention for Sandra Schultz Newman. Justice of the Supreme Court retention for Russell M. Nigro.